Just a friendly reminder to send in your reservations for the Polonez Ball on November 8th. If you have not received your invitation and would like to join us for this auspicious occasion please call us at 314-868-6911. It is with deepest regrets that we say goodbye to a wonderful, charismatic and generous man. Edmund F. Burdzy has been a strong supporter of Polonia in St. Louis, the Roman Catholic Church and an active member of the PACS for many years with his wife, Dolores at his side. He will be dearly missed. Burdzy, Edmund F. passed away peacefully, surrounded by his family on Monday, October 6, 2014. Beloved husband to Dolores A. (nee Sendobry) Burdzy for 61 years. Dearest dad to Christina (Greg) Zinselmeier, Charissa (Mark) Steinlage, Cathleen (Mike) Petrie & Celeste (Jim) Imperiale. Dear Granpa to Emily, Christian, Mark Jr., Sean, Joel & Allise, Tyler, Trevor, Jenny & Joe, Nick, Alex & the late Lauren. Jagi to Ian & Colin, Kora, Mareck & Elijah. Our dear brother-in-law, uncle, cousin & friend to many. Edmund retired after 43 years from McDonnell Douglas/Boeing aircraft planning & engineering division where he proudly worked on the F-18 Hornet project. He was very proud of his Polish Heritage. In his heyday, he played the banjo in a band called Polka Dots. Funeral services will begin on Friday, October 10, 9:15 am at the STYGAR FLORISSANT CHAPEL & CREMATION CENTER, 13980 New Halls Ferry Rd. then process to St. Angela Merici Church for 10:00 am Mass. 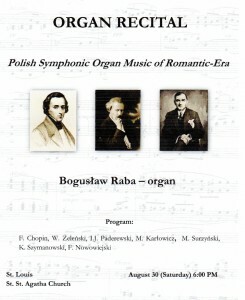 Memorials to the Polish Heritage Center or a charity of your choice. *This is not a PACS sponsored event. Mass at 3:00 p.m. Dinner at 5:00 p.m.
Cities and towns across Poland will observe 70 seconds silence at 5 pm on Friday, marking the 70th anniversary of the Warsaw Rising, the 63-day doomed insurgency against Nazi Germany. A field mass held in Warsaw on Thursday evening in tribute to the 1944 Warsaw Rising. The focus of today’s commemorations will be at Warsaw’s Powazki Military Cemetery, where besides state dignitaries, hundreds of former insurgents – from Poland and as far afield as Argentina – will take part. 5 o’clock marks the so-called W-Hour (Godzina-W) on 1 August 1944 when thousands of underground soldiers stormed German positions across central Warsaw following 5 years of occupation by Hitler’s forces. The insurgency was led by the Home Army (AK), and had been approved by the Polish government-in-exile in London. Throughout Friday, ceremonies will be laid at various monuments connected with the Polish underground and the rising. Wreaths will be laid at the grave of Warsaw Rising commander General Tadeusz ‘Bor’ Komorowski early on Monday morning, while at 10 am, a tribute will be held at a monument to Polish insurgents in Warsaw’s Mokotow district. At 1.30 pm, respects will be paid at a statue of Stefan ‘Grot’ Rowecki, a former commander of the Home Army, who was languishing in Germany’s Sachsenhausen concentration camp when the rising began. He was shot by the Gestapo shortly after the insurgency broke out. At 2 pm a ceremony will be held at the Monument to the Underground State and the Home Army on Wiejska Street. The rising occurred at a time when the war was turning in the Allies’ favour. On the Eastern Front, the Red Army was sweeping across Nazi-occupied Poland, while on the Western Front, the Allies were making inroads across France, while from the south, the Germans had been beaten back to Northern Italy. The insurgents in Warsaw were equipped to fight for less than a week. Pledges of aid from the Russians proved to be empty words and the insurgency continued for a gruelling 63 days, before the high command of the AK finally capitulated. Between 150,000 and 200,000 civilians died in the Rising, and about 16,000 insurgents. Mr. Niemczyk passed on June 4, 2014 at the age of 68. He was the first president of the PACS from 1976 to 1980. His funeral was Monday, June 9th. 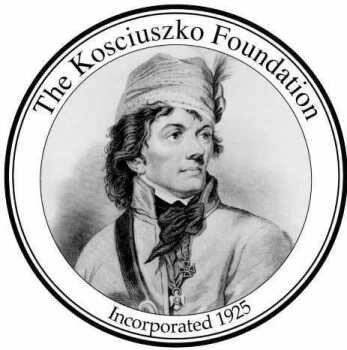 The Kosciuszko Foundation is pleased to announce the opening of the application process for a special tuition scholarship program for undergraduate students of Polish origin. A $2,000 scholarship will be offered to 30 promising undergraduate students studying in the USA and pursuing degrees at the intersection of media, communication, political science, social studies, law, and administration. Students seeking careers in media, government, and public affairs are particularly encouraged to apply. Applications will be accepted through July 31, 2014 and scholarship awards will be distributed for the fall semester of the 2014-2015 academic year. groundbreaking program will increase opportunities for Polish-American students enrolled in specific fields at universities throughout the United States. It is yet another example of the importance that the Polish government places on good relations with Polonia, and the confidence that it has in the Kosciuszko Foundation to implement this and other important projects,” said Dr. John S. Micgiel, president of the Kosciuszko Foundation. Full-time undergraduate students who are U.S. citizens or permanent residents with a minimum GPA of 3.0 are eligible to apply. Scholarships are merit-based and are awarded for academic achievement, leadership qualities, motivation, interest in Polish subjects, and involvement in the Polish American community. The scholarship program was made possible thanks to a $60,000 grant secured by the Kosciuszko Foundation in the national competition “Cooperation with Polish Diaspora and Poles Abroad in 2014” run by the Ministry of Foreign Affairs of Poland. An additional grant of over $15,000 was awarded to the foundation for an update of the New KF English-Polish, Polish-English Dictionary, last published over a decade ago. The project, co-sponsored by the KF and the Polish & Slavic Federal Credit Union, has begun and will result in a thoroughly updated Dictionary, with online and app-based versions ready in 2015. This may be an opinion article but it is spot on. Comments Off on TV Cracovia is Back!